Pre-race registration held until April 30. 10K Race and 5K Walk entries include a commemorative race t-shirt. No awards will be given for the 5K Walk. Race day registration is from 7:00 – 8:30 am at the Dr. Ed Dannelly Fitness Park gazebo. Race Day Registration closes promptly at 8:30 am. 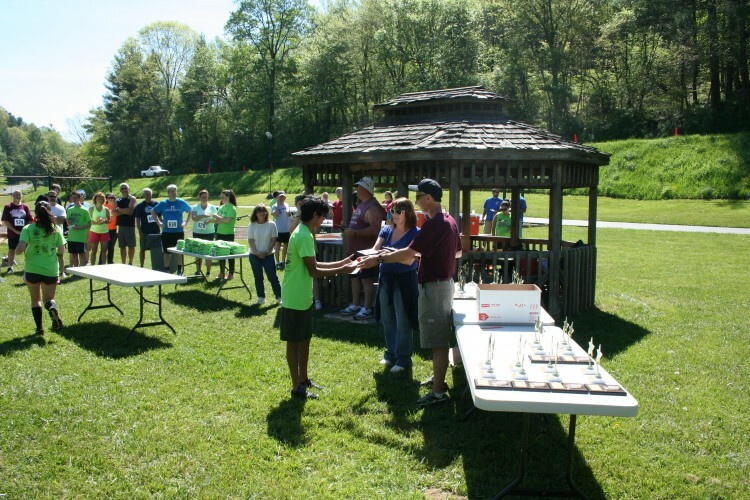 Awards will be given to all 10K run overall winners and 10K age group winners. The New River Trail 10K race & 5K walk will start and finish at the Dr. Ed Dannelly Fitness Park and follows the New River Trail. The 10K course is an out and back course. The course is entirely flat as it follows Chestnut Creek with the entire race being run on the New River Trail.